As pioneers go, in the modern business of algae biofuels and co-products, possibly no one has built a longer record of accomplishment than Dr. John Benemann. Involved in algae biofuels and related research since the early seventies, Dr. Benemann was the Principal Investigator of several U.S. DOE government research projects addressing the practice and potential of algae biofuels, after, and even before, the Aquatic Species Program (ASP) started in 1978, and of its Close-Out Report, after the US DOE ceased funding the ASP in 1996. With a Ph.D. in biochemistry from the University of California at Berkeley, he has made his mark as a researcher, teacher and consultant in the areas of microalgae products, waste treatment, biofuels, photosynthesis, and greenhouse gas abatement. But there is something curious about his strong opinions that many in this new industry view as, to be polite, cautionary. 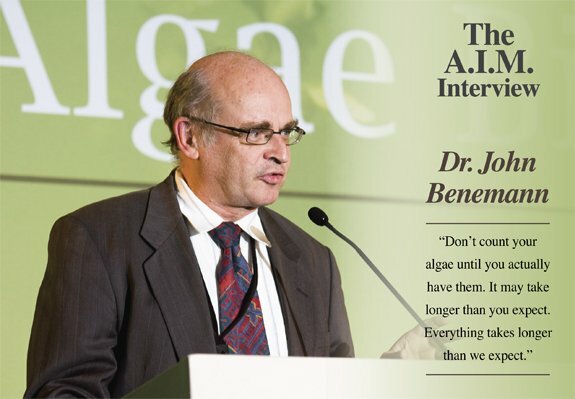 So, is John Benemann an algae optimist, as he claims, or a pessimist, as some interpret his lectures at many, he says too many, algae and other conferences? 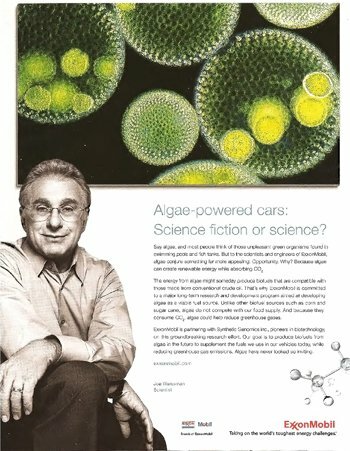 Is he a lone doubter of the future of algae biofuel, or a realist in the midst of the current surge of enthusiasts? Maybe you, our reader, must decide from this interview, in which he discusses his view of the limitations and unfinished research in this quickly moving field. Despite what some might consider his throwing of wet blankets, he does come across as a firm believer in algae’s potential. But he doesn’t mince his words and he is definitely not out to win any popularity contests. On the other hand, his sincerity is contagious and he certainly knows this stuff. In the Malcolm Gladwell standard for becoming an expert, Benemann has done his 10,000 hours of practice, many times over. We spent most of a morning recently at the beautiful Claremont Hotel in the Berkeley hills, talking about the past, present and future of that mysteriously fascinating organism. Q: How do you view the developing algae industry? A: My view of the algae industry is that it is really a question of moving from high value specialty products to commodity products, whether those commodity products are animal feed or fuel. The high value products, like Spirulina, Chlorella, Haematococcus (for astaxanthin production) or Dunaliella (for beta-carotene), which are all in the nutritional industry, sell from about $10 to much more per kilo, or basically tens to up to a hundred thousand dollars per metric ton. Fuel and feed products, which are both in a similar price range, sell for less than $1000 per ton. So you’re talking about well over an order of magnitude difference in value between the current technology, or at least the current business, and what needs to be achieved in reduction of production costs, if you want to go into algae commodity products. Q: So how far are we away from having an algae biofuels market, in your opinion? A: That’s a question I’m very often asked. 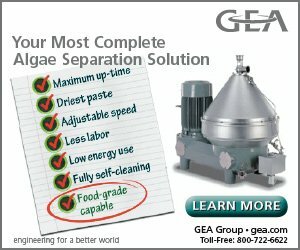 When are we going to have algae fuels? And my simple answer is: when it happens. And the reason why is, anything that requires research and development means that we don’t know exactly what the answer is. When I say we don’t know, I mean we may know how to do it, but we don’t know what the results will be, otherwise we wouldn’t be doing the research. If we did, it would be just tweaking a little bit of development on an existing process, making it a little more efficient. But at this point there is still a very big gap between where we are right now and where we need to go to reduce the costs to a biofuels level. So, it’s unpredictable. It could happen in three years, five years, ten years. If I had to predict, I would predict closer to ten years than three years; we will need the time to get a reasonable answer. Q: What do you consider the most valuable accomplishment of the Aquatic Species Program? A: There was the pilot facility at the Roswell, New Mexico, site, which was basically done by Joe Weissman and his associates. He and I grew up in this field together, starting at Berkeley, and later on at the Aquatic Species Program, and many projects since then. He is the guy who now shows up on the ExxonMobil TV ads. 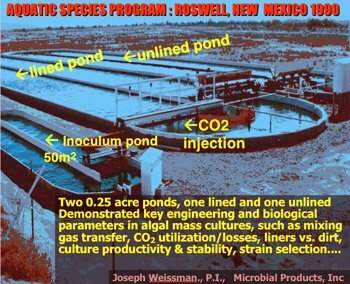 The Roswell facility demonstrated the basic first level scale-up for the technology of growing algae for biofuels. Much research was done in the ASP, on a budget of $25 million dollars, in current dollars, probably more like $50 million. But it would be very difficult in my view to replicate what was achieved there, with such a limited budget, particularly with the knowledge starting at a very basic level at the time. What the ASP showed was that, in principle, it is possible to grow algae for biofuels and other applications. It also showed that a lot of things still need to be done, including achieving high levels of productivity. Q: If you had extended the program, would you have come down to a much smaller number of strains than you did? A: The issue of strains in algae cultivation is of course fundamental. It’s the same thing that you have in agriculture. Everything is based on having good cultivars, seeds, which can grow in your particular climatic zone, soil, and other cultivation practices. For example, the rice cultivar that would do well under the cultivation technologies in the Sacramento Delta would not do as well in the rice paddies in India. In microalgae, I’d say it would be even more the case. So each particular production system and location, in terms of the water quality, for example, will require a different strain development effort. And so the strains are going to be eventually what drives the industry, not somebody coming up with a better paddlewheel, or a more clever way of injecting CO2, or some kind of fancy new photobioreactor. Basically, it depends on the organisms. The Aquatic Species Program started that process and moved it forward, but that was still at an early stage. Q: What do you wish would have been accomplished had the ASP research program continued? A: I wish that the pilot plant in New Mexico had been operated longer, more extensively, and had been scaled-up a bit. The whole program, where it was in the mid and late 80’s was going along well, but then we had a change of administration. Clinton and Gore came in and they killed renewable energy. They basically had a budget deficit and this was not a priority at the time in the early 90’s, so the budgets went down and at some point the Department of Energy had to make a decision, do we triage or do we try to keep all these programs alive? 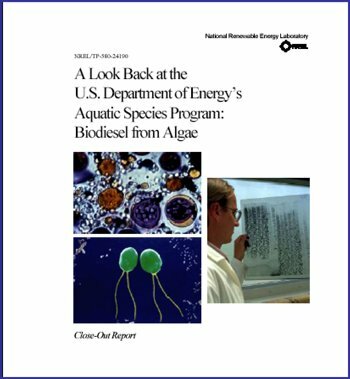 For various reasons, the Aquatic Species Program was shrunk and they put their money on what they considered the more important effort, which was lignocellulosic ethanol production. As we know, right now that’s still an open issue: what is the best approach? Lignocellulosic ethanol and algae oil production, I would say, are neck and neck in terms of research and development, and likelihood of success. Q: The collective consciousness of the scientists just prior to the plug being pulled…were you going to look beyond ponds? Were you going to experiment with closed photobioreactors, PBRs? Were there new directions being discussed that you were going to take? A: The issue of PBRs, of course, comes up many times. Interestingly enough, the Aquatic Species Program started as a PBR program. The first program manager actually had his own patented PBR design which, of course, as to be expected, he decided to start funding. But very quickly it became apparent to us that PBRs could not be used for algae biofuels or large scale production. We did a report on that in 1982, which clearly showed that open ponds were the only plausible approach, and that pretty much put the kabosh to the use of PBRs for biofuels. The whole issue of PBRs or ponds came up again about five or six years later. There was a company that came in with a proposal for PBRs, and there was again a competitive analysis. Again, a detailed engineering and economics analysis of ponds was published, while and the PBR approach, let’s be nice and say it faded away. But, ideas don’t seem to ever come to any conclusions, so PBRs for biofuels still are, and are going to be, with us. And they are important in some ways, for example for doing research under controlled laboratory conditions. And to some extent they will be important in terms of producing the seed culture; just as in agriculture where seed production is much more expensive than the final product. If you get to a large-scale algae industry, there will be a need for a controlled seed production component, which will require PBRs. So PBRs have some utility, but you can do some fairly simple analysis and it never makes any sense, to me at least, to talk about commodities in the context of PBRs. And I should mention, by the way, if you look at the real algae industry as it exists today, which is a nutritional industry, 99% of the production is done in ponds and only 1% or so in PBRs. We’re talking about products that are from 10,000 up to 100,000 dollars per ton. So, if you talk about things that are a few hundred dollars per ton, obviously there is a real problem trying to fit those into a PBR. Q: In the early days of the ASP, what knowledge was gained in terms of contamination and predators? A: One aspect of the strain is that it has to be resistant, to some extent at least, to attack by biotic infections, whether they’re grazers or fungal infections, or viral infections. Agriculture is a constant fight of the farmer against diseases, insects, nematodes, whatever you have wanting to eat your plants, there’s an infinite variety. And it is really at the heart of agriculture that we have learned how to deal with those. Q: Some people see you as a bit of a pessimist regarding the future of algae as fuel. Is that a misinterpretation? A: Well, one person’s pessimist is another person’s optimist. There is obviously a very large range in this field between optimism and pessimism. I would think that I’m definitely on the optimist side, but I can’t quite bring myself to say that we are ready to produce algae biofuels. That if someone will give me some money I’ll do it tomorrow, which of course a number of people are saying. If they are actually ready, then we’ll see what they produce next year. But I think it will take some time to do this, so I’m not an optimist, if optimism is defined as that this is a done deal and we know the answers and we know how to do it and we can do it at a large scale and at a low cost in the next year or two or three. Now, I think we will be able to do it. Maybe the way I would put it, cautiously, is that we have, so far, not been able to show that it is impossible. Which doesn’t quite mean that it is possible, it just means that there is no good reason why it should not be possible. It all depends on how we define things. Again, and for example, photobioreactors are not, in my opinion, possible as a way to grow algae for commodity products. The numbers just don’t add up. Photobioreactors, depending on the design, from a few tens to a few hundreds of square meters, means you are talking about hundreds of such reactors per acre. You’re talking about two or three orders of magnitude difference between the scale of a pond versus the scale of a photobioreactor. Remember, each photobioreactor, like each pond, will require piping, valving, inputs, outputs, measurement devices. The bottom line is that the output is very small compared to the capital and operating costs. Q: So what do you think is needed most at this point in time to develop the potential of algae? A: Research and development. And the research has to be mainly on the cultivation side, which includes the harvesting, of course. A: Well, the problem there is that, just like the harvesting, the extraction will depend on what you’re growing. If you’re growing one species of algae it may well have a different technology or different approach for extraction than another one, and the quality of the oil could be different. My sense of it is that if you can grow the algae cheaply and get the biomass, we will, hopefully, figure out what to do with it. So extraction is a necessary part of the business, but it can’t be a separate process. It has to be integrated with the whole cultivation and harvesting technology. Q: So extraction is strain dependant? A: Yes, of course, at least species specific. If we grow Botryococcus, if we grow Nannochloropsis, if we grow Dunaliella, if we grow Chlorella, each of them is going to be quite different in terms of what will be required to extract the oil. Q: Is that a function of the rigidity of the cell wall? A: That’s one important parameter. It also depends on whether they have the oil excreted, like Botryococcus. Another major parameter of interest is how easy it is to break up the cell. So it not only depends on the species, but also strain, and likely will also depend on how you grow the particular strain. Q: Has your view of algae growing systems changed since the end of the ASP? A: Not fundamentally, but now we have a lot more tools. They’re getting more and more sophisticated from the genetic perspective. We now have metabolic engineering, the whole gamut of biotechnology tools. But, still, basically, this is farming, this is agriculture, So we have to grow the algae and see what happens and learn and improve the strains. We will have to domesticate algae, which has not yet been done. We are still using wild types, that is, strains that come directly out of nature without really any significant improvement or even much selection. Q: So how do you feel about genetic modification? A: Unfortunately, that’s such a loaded word. Even defining what is genetic modification depends on who you talk to and what their definitions are. Fundamentally there are several issues here. I see no necessity for doing transgenic organisms, where you actually put in foreign genes from some other organism, like for example in agriculture, where genes from other organisms have been inserted into plants for herbicide or insect resistance. What we are primarily needing to focus on is to try to change the regulatory systems in algae. For example, one that everybody needs to focus on sooner or later, is how to maximize lipid production — both content and productivity. The other one of course is photosynthesis itself and there I see great potential in what we call antenna size reduction, work that I started a number of years ago. Here we want to reduce the amount of chlorophyll or other light absorbing pigments so the cells on the top don’t shade out the cells deeper in the culture. It’s very clear that we need to have genetic tools; that we need to go into the algae to change the regulation of specific pathways. We can’t just expect that we are always going to find the perfect strains by simple mutations or selection, at least in many cases. So we will have to do so-called genetic modifications. There is a great concern among many people, and I think rightly so, that we need to know the consequences of using these kinds of organisms. Can they spread into natural environments? I think that in this case what we need to do is get the government to pull together a completely independent committee of scientists, experts in topics such as phytoplankton ecology, environmental impacts, etc., to look at the issues of the spread of cultivated organisms. Not only genetic modified organisms, but also so-called non-native strains. What if we isolate an algae here and we want to take it to Hawaii or New Mexico? Q: Is that an issue for the Department of Agriculture? A: It will be the Department of Agriculture, Department of Energy, and probably as lead agency the EPA. I think that’s for them to sort out. The algae industry itself cannot be guiding, directing or dictating how this process should be done. The only thing that they should do is to request this. And it takes some time to get these things done and public notices, etc. My personal opinion is that the end result will be a clean bill of health for genetically modified algae, but there may be need for some studies, perhaps even some restrictions like we have for genetically modified crops. The reason that I do not think there is any fundamental problem is that, in my opinion, even if we wanted to we couldn’t engineer an organism that could survive in nature. Nature is a very harsh mistress and will weed out anything that we domesticate for our own purposes. None of the cultivars of plants that we have domesticated would survive any period of time in nature. At the very best they will revert back to the wild type if they can, and if not they will just disappear. You take a field of wheat and let it go without cultivation for five or ten years and see how many wheat plants are left, you will be surprised if you find more than one or two. So, same thing here. But I think it is a legitimate cause of concern, I don’t want to minimize it. I think people have the right to ask the question. Some people in this industry do not like this question to be raised, but I think it has to be raised and has to be addressed by the government, not the industry, and has to be answered. I would anticipate that any scientific committee addressing this issue will likely recommend that some research should be done, like looking at persistence of organisms in nature and looking at how such organisms can be tested, to look for spread, and such. The tools are available. A good example is nanotechnology. Nanotechnology right now has a very active program to do this type of preventative research to provide assurance that the products they have coming out are indeed safe. There are still some controversies, but at least it’s a guidepost. The algae industry has to really get in front of this issue, but they cannot do it themselves. They have to let completely independent agencies, maybe the EPA at the request of USDA and DOE, can carry out this kind of process. Q: Are you actively involved in promoting that, or is this just your suggestion? A: I suggested this to the Algal Biomass Organization, and there is a committee that is in charge of handling this. I am not a member of that committee. Q: So where are you putting your attention these days? A: Being interviewed! Well, I have a lot of different activities. I consult, and I’ve been doing work in wastewater treatment, which is another aspect that a lot of people talk about, but again, it needs some real research and development, and demonstration. To some extent it’s a fairly straightforward thing. 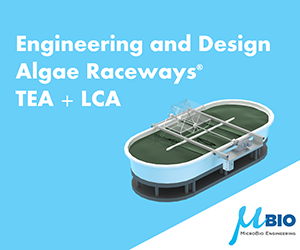 What people don’t understand is that the market for algae for wastewater treatment is quite limited. For very simple reasons, like you need land and where you have lots of people and lots of municipal wastewater, you don’t often have a lot of land. You need good climate, and in the US the permissible climatic regions where you can really grow algae on a year round basis, or at least almost year round basis, is limited, perhaps not much more than 10% of the land area. So I’m not a great believer that you will be able grow algae in Minnesota, but other people have different opinions. Q: How about the carbon sequestration side of things? Is it the same? A: Well, that is a misnomer. You don’t sequester carbon by growing algae; you capture carbon dioxide from some enriched source. And then you convert it into biofuel. It is no different from what any farmer does when he grows a crop and for example makes a biofuel out of that. The CO2 abatement is strictly based upon the replacement of fossil fuel with biofuel. It is not based upon actually sucking out the CO2 from a flue gas or some other source. So that is a little bit of a conceptual problem. People think that by capturing CO2 you are doing some benefit. That is not the case. The benefit can only come on the biofuel side, if you are replacing fossil fuel with a biofuel. And then you have to do the calculations of how much energy went in and what kind of boundary conditions you set on the whole thing, which is the life cycle analysis, or LCA, that many people now are doing. As you know, there’s a controversy in the case of some biofuels, which basically don’t really have a significant reduction in CO2 emissions, not a positive LCA. We believe that algae can have a significant reduction in CO2 emissions compared to burning fossil fuels but, the way I put it, the CO2 capture side is a necessity, not a virtue. In other words, if you want to grow algae you need to feed them CO2 from an enriched source, such as a power plant. If you grow crops, they get the CO2 from the air. So, we need to feed algae CO2, but that is not a virtue in terms of we cannot make any claims of reducing CO2 emissions just by capturing CO2 from a power plant. Q: So what about those who think that power plants will have algae ponds next to them? A: That’s a different question. The question is can you use that CO2 from the power plant to grow algae? Yes, of course. But the problem with that is how many power plants have that much land available? And how many of those are in areas where you have water available? And how many of those are in areas where you have reasonably good climates. Once you put in those three boundary conditions, you come down to a fairly small number. And you have further problems. Even if you capture all of the CO2 from a power plant, you are doing it only during the daytime, you are not going to capture any at night. You are going to capture much less in the winter than summer months, at least anyplace in the continental US. And a significant fraction of the carbon is not going to end up in the biofuel, but in other co-products, or lost back to the atmosphere. And, last but not least, you have the issue of how far can you actually pump the flue gas. If you’re talking about wanting to maximize the amount of flue gas used, you’re talking about tens of thousands of acres for one large power plant, and there’s a limit to how far you can even pipe flue gas. So the bottom line on all of this is that, the way I put it, we cannot help power plants reduce their CO2 footprint to any significant extent. For coal-fired power plants, if we want to be serious about reducing their CO2 emissions, we have to get them to reduce CO2 emissions by 80 or 90 percent, not by the 10 or 20 percent we could do with algae under the best of circumstances. And the circumstances are not very good in most all cases. So, in my opinion, maybe a fraction of 1% of the CO2 emissions from coal-fired power plants will be amenable through algae capture and utilization. In the case of natural gas power plants, it’s maybe not any better because of the large excess air that is used in most of them, which means the CO2 concentration is actually lower. With coal, you’re talking about roughly 12% CO2 and for most natural gas systems you are lucky if you have 4% or 5%. That makes a fairly big difference in terms of the energy required to just pipe and pump to transfer the CO2. Just a little reality check here. A lot of people haven’t thought it through. Q: If you had a message to the algal biofuel production industry, what would that be? A: First of all, I think that one of the real fundamental problems here is that algae is not the Great Green Hope, to put it politically correctly. It’s one of the many things that we have to do, and one of the many things that requires continuous research and development. At this point, I believe it requires more research than development, but those things are overlapping of course. Anybody who wants to believe that algae are going to somehow replace oil…well, I doubt it. But it’s one of the many things that needs to be done. Algae is only one of many approaches in the biofuels space, which is but one of many things we need to do in renewable energy development. Algae is an interesting field of research. It has some big positives and some big negatives. A big positive is that research and development can be relatively fast. One week is like a full season for a higher plant. On the other hand, we still have a lot of seasons to go. Another positive is that it can be done on a smaller scale, at fewer locations, compared to higher plant cultivation, where you need lots of replicants, larger scales and many different locations. The way I look at it, the dimensional space of how many variables we’re dealing with is somewhat less complex than with higher plants, where you are dealing with additional issues such as soil type, moisture levels, etc. The algal pond provides a somewhat more predictable environment than a field crop. 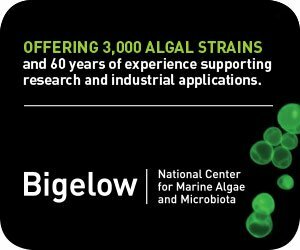 So I think that algae culture has some fundamental advantages, including use of brackish or seawater, potential for high productivity not useful for other crops, as well as some significant limitations, such as the need to harvest these microscopic plants essentially on a daily basis from large volumes of water. In conclusion, what I say to the people who are in this business is: don’t count your algae until you actually have them. It may take longer than you expect. Everything takes longer than we expect. So, be in it for the long haul. I am. —A.I.M. Copyright ©2010 AlgaeIndustryMagazine.com. All rights reserved. Permission granted to reprint this article in its entirety. Must include copyright statement and live hyperlinks. Contact editorial@algaeindustrymagazine.com.